DHYS is a 100% volunteer operated organization. No one within our organization is paid for their time, energy or efforts. Each one of us does what we can to help provide a quality baseball experience for our community. 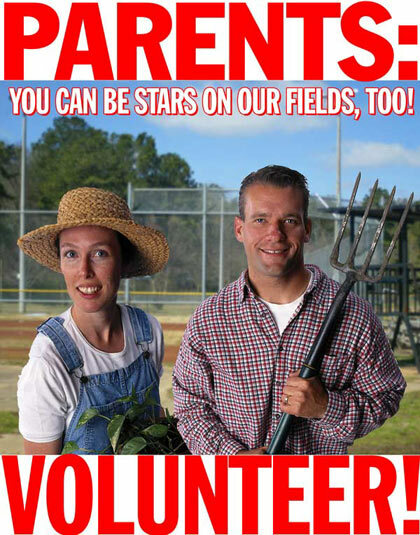 *NEW* - Check out our new Signup sheets for DHYS volunteer opportunities here. When one registers their child for a season of DHYS baseball, one is agreeing to donate three hours of their time to DHYS. The most common ways to fulfill this obligation are by assisting during field day or by signing up for a concession stand shift. In addition, assistance is needed with managing and coaching teams, prepping the fields for games, acting as team parent, score keeper, score board operator and more. Team Managers, Coaches and Assistant Coaches—work together to teach the children the fundamentals of baseball on an age and skill appropriate level. Field Prep—prepares the field by dragging and lining the field prior to the start of the game. Team Parent—acts as liaison between the league, the manager and the families on the team. Coordinates such things as getting the names on the jerseys, snack schedule, end of season gathering, etc. Pitch Counter—maintains pitch counts and forwards them onto manager following each game. Score Keeper—Keeps scorebook during each game. Field Day Worker—Work during field day, performing tasks to clean up and get the fields in shape for the season. Concession Stand—The concession stand is solely run and operated by parent volunteers. All of the proceeds from the concession stand help underwrite improvements to our baseball facilities. It's easy and fun! Supervised children are welcome to help, too. Each of the DHYS teams will be required to work several shifts in the Concession Stand throughout the season. Shifts are typically a couple of hours long. Every dollar made in the Concession Stand benefits DHYS. If you are a former or prospective player parent, or just and interested member of our community, and would like to donate some of your time, thank you! To discuss ways you can help, please send email to .